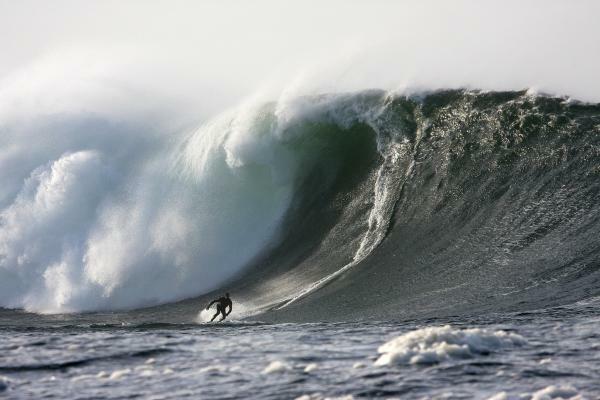 Irish surfing legend, Richie Fitzgerald to give a free lecture instore on October 5th at 7.00pm. Charging the biggest waves Ireland has to offer, Richie Fitzgerald has achieved global recognition and respect surfers worldwide and amongst anyone who has witnessed him in action on a wave, either in the flesh or in surf movies such as Eye of the Storm and alongside the Malloy Brothers in the surfing documentary, Step Into Liquid where he is featured devoting his time to the cross border integration scheme that attempts to integrate children from the North and South of Ireland through surfing. He faced the biggest surfing challenge of his life on the final day of filming Waveriders surfing the biggest swell ever attempted off the coast of Europe to become Ireland’s most renowned big wave surfer.Come along to what is sure to be a riveting lecture by one of the Top Irish and European surfers. As always, the seats are free so bring some friends and book a few.